Logitech M325 Wireless Mouse and McAfee 2015 Multi Access is FREE after Rebate. This offer ends by 11/21/2015. Thinking of buying best ergonomic mouse pad? You need to first know the criteria of a best one firstly then. 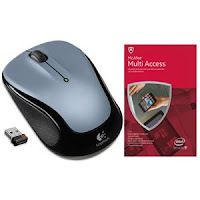 Quality, anti slip base, mouse surface, wrist wrest and compatible price makes a mouse pad best.